Hari Burger Corner is a small food joint which belongs to the iconic Hari Super Sandwich. It is located adjacent to Hari Super Sandwich. This place is as crowded as its parent joint. Known for its lip-smacking potato twisters, which is something one definitely needs to try. 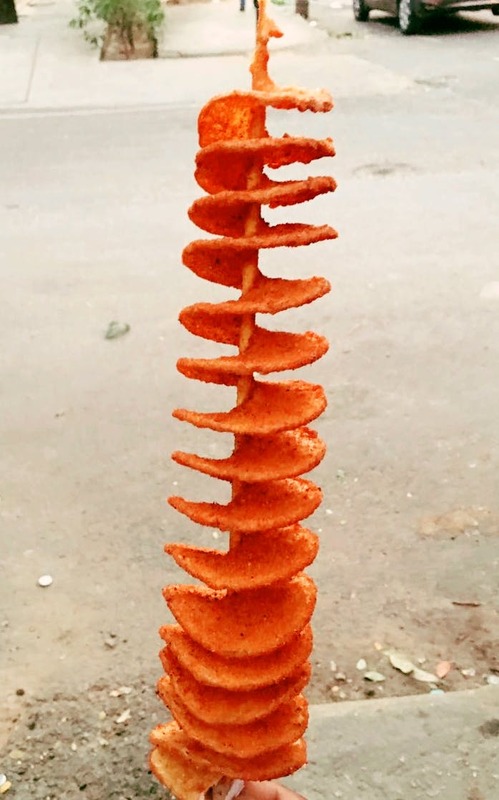 This is spiral-shaped machine cut potato which is provided on a stick. They serve burgers, pizza, pav bhaji, potato twisters and other savoury food like aloo tikki, french fries. Out of which, the pav bhaji here is surely worth a try. My personal favourite here is potato twister and tawa pulao. If you're in Jayanagar and looking for snacks, this pocket-friendly hub is worth visiting with your friends. They do not have a parking facility. The spot is so crowded and customers don't have enough place to sit. So it's better to avoid four wheelers while heading down to this joint. Make sure to have the potato twister with butter mayo!